In a previous post, we provided some of the myths that abound in regard to the FMLA. 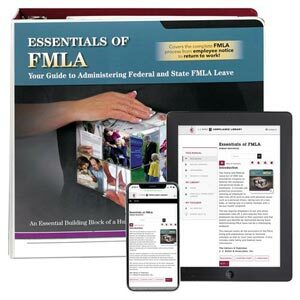 In today’s post, we carry on the information, as the FMLA is endowed with numerous myths. Employees who work out of their homes won’t meet the 50 employees within 75 miles eligibility criterion. A private home is not considered a worksite for purposes of the FMLA, including the eligibility criteria. For such employees, their worksite is the location to which they report and from which they receive assignments. If Joe employee is working from his home 1,500 miles from your corporate headquarters, he meets that 50/75 criterion if he reports to headquarters and there are more than 50 company employees within 75 miles of headquarters. While you may not require an employee to actually perform work while on FMLA leave, you may contact him or her. You may even ask certain work-related questions, as long as they do not actually require work. You may, for example, ask where a certain file or document is. You may not, however, ask that the employee update the files or document, as that would risk asking the employee to perform work. Both the Department of Labor and the courts take issue with this action. Asking for a doctor’s note for each instance of intermittent FMLA leave has been seen as tantamount to asking for a recertification for each instance, which would risk violating the recertification provisions. If, for example, an employee takes FMLA leave three times in one month, you should not request the notes. You may request a recertification no more often than every 30 days in relation to an absence. There are, however, a few limited exceptions to this that we have discussed in past news items. Yes, you may (and should) enforce your company’s call-in policies even for employees on FMLA leave. You might, however, need to take into consideration situations that involve extenuating circumstances. If, for example, an employee was involved in a serious accident and is unable, medically, to call in, then you would need to be flexible. If, however, an employee does not follow your call-in procedures with no justification for the failure, you may delay or deny the FMLA protections. Employees have the right to use any accrued paid time off concurrently with otherwise unpaid FMLA leave. You, as the employer, may require that employees do so. In such situations, the employee is burning accrued paid time off AND FMLA leave at the same time. Since you (the employer) is responsible for designating leave as FMLA leave, you should designate any and all time taken for an FMLA-qualifying reason as such. Employers are covered by the FMLA if they have at least 50 employees total, no matter where they are in the U.S., who worked at least 20 workweeks in the current or preceding calendar year. The 50 employees within 75 miles is an employee eligibility criterion, not a covered employer criterion. The FMLA will likely continue to be a source of mystery and intrigue. Having a resource to which you may pose questions can help alleviate the murkiness.